WA: Collapsed Retaining Wall. Can I Claim on Strata Insurance? You are here: Home / Insurance / Insurance WA / WA: Collapsed Retaining Wall. Can I Claim on Strata Insurance? These questions about strata insurance for a collapsed retaining wall has been answered by Leonie Milonas, PSC Property Lync Insurance Brokers. Question: My retaining wall is collapsing and the pavers are falling in. Can I claim the repairs and rectification on my strata insurance? I purchased a unit in February 2012. In 2016 I found that the soil along the unit retaining wall started collapsing. I thought it was just a minor soil settling issue so I refilled and had the pavers re-done. In early December 2017, the soil underneath the pavers collapsed at a larger scale and I refilled and pavers re-done. Recently after rain over the winter, the pavers have collapsed and a hollow has formed along the retaining wall. This has now turned into a major issue. I have been advised it has not been engineered securely. I have a Common Strata Residential Insurance Plan and I’ve paid a building levy under the common strata scheme. Could I claim the repairs of the damage on strata insurance? Who should I bring up this issue with for resolution and/or rectification? Please advise. Answer: First, you need to establish who is responsible for the retaining wall. Is it the Strata Company, is it the neighbouring property or the lot owner? When pavers collapse without a physical cause, the cause may be something that is happening underneath the earth. Further, where retaining walls are also involved, it is important to identify the underlying cause by obtaining a report from a specialist in that area of expertise such as retaining wall specialist or structural engineer etc. Generally, strata insurance does not cover Earth Movement unless from events such as an earthquake or seismological event and only where stated that those things are insured within your policy coverage. Further, limited cover applies to retaining walls with specific exclusions applying to retaining walls in most strata insurance policies. You need to establish who is responsible for the retaining wall. Is it the Strata Company, is it the neighbouring property or the lot owner? The matter should be referred to your Council of Owners / Strata Manager or if you are a self-managed scheme, you might refer to your local council to provide information to help. You should also seek legal advice. A specialist report should be obtained, as mentioned above, that identifies the issue. Earth Movement or subsidence which may cause damage to a retaining wall is unlikely to be an insurance matter unless not excluded, however, the matter should be referred to the insurer in any case for consideration and disclosure of the issue. This post appears in Strata News #227. The answers to these questions are prepared as general informational purposes only, and is not legal advice and should not be relied on as legal or insurance advice. You should consult with a qualified insurance or legal advisor. Because of that, before acting on the above advice, the client should consider its appropriateness (having regard to their objectives, needs and financial situation). 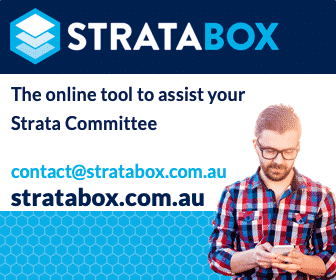 Visit Strata Insurance, Maintenance and Common Property OR Strata Information WA.